On Saturday December 22, Mighty Red will greet young supporters along the tour route for festive fun, games and surprises. During the stadium tour, young fans can enjoy epic views of the pitch and city landscape from the top level of the Main Stand, see where their heroes prepare for the big game in the home team dressing room, practice their interview technique in the press room, walk down the player’s tunnel and much more. Of course, the highlight will be meeting Mighty Red for festivities, so don’t forget to wear your Christmas jumper! Your ticket also includes a visit to The Liverpool FC Story, the club’s interactive museum, with its special exhibition 'The Steven Gerrard Collection' - featuring the former captain’s match-worn shirts, medals, trophies, England caps and much, much more. And after all the excitement of the tour, stop by the Boot Room Sports Cafe with a special set menu for kids, and the Anfield Superstore to get the Christmas shopping sorted. 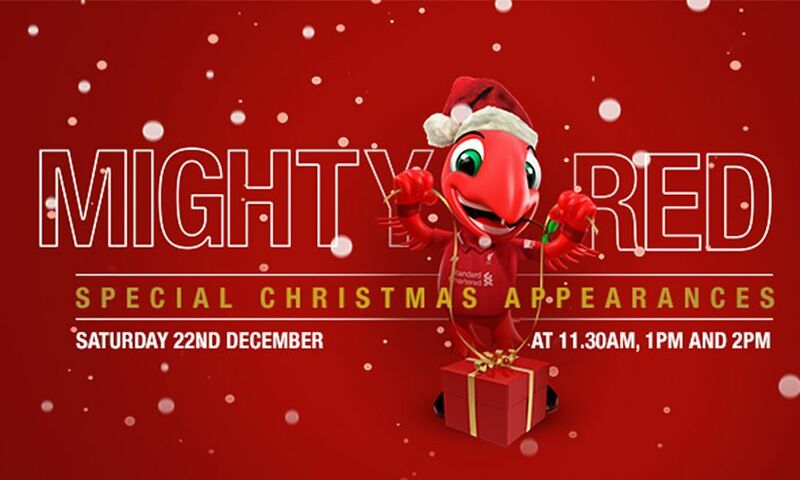 The Mighty Red Christmas Special Appearances take place on Saturday December 22 at 11.30am, 1pm and 2pm on the Level 2 Concourse of the LFC Stadium Tour. Click here to book and select the time you’d like to visit using the drop-down menu. We’d recommend booking the nearest time slot available to an appearance – for example, if you would like to meet Mighty Red at 11.30am then book The LFC Stadium Tour & The LFC Story (self-guided audio tour) 10.00 time slot. Alternatively, please call 0151 260 6677. Don’t forget, LFC Official Members and Season Ticket Holders also get 30 per cent off.